Although they’re obsessed with the Disney princesses, our daughters have not yet watched any Disney movies — nor will they until I’m totally convinced that their active imaginations are tough enough so that watching these movies won’t result in weeks of sleepless nights. So far, the girls have acknowledged that they’re not ready for Disney movies; they “get the shivers” just from reading the companion books. Because the Disney stories are scary. There’s the vain queen in Snow White who transforms herself into a poisoned apple-hawking crone; the vengeful fairy Maleficent in Sleeping Beauty who goes down fighting as a fire-breathing dragon; the tentacled and power grubbing Ursula who ends up impaled on a ship in The Little Mermaid; the sinister lion Scar in The Lion King who speaks with the voice of Jeremy Irons. 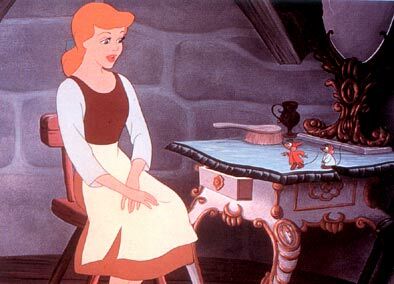 But in my opinion, the sickest minds at Disney were the ones that dreamed up Cinderella. Here we have a heroine who sleeps with mice. Not only that, she makes them little clothes, sings to them, and lets them help her get dressed in the morning. And we’re supposed to find this CHARMING?!? 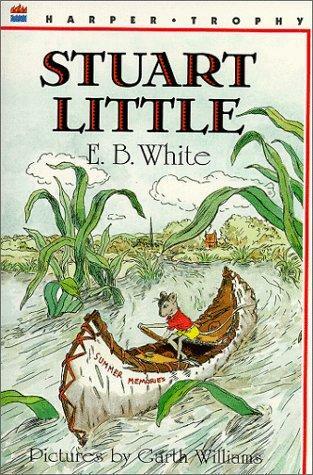 It’s not just Disney; have you ever noticed how many children’s book protagonists are mice? There’s Stuart Little and various Beatrix Potter characters and Angelina Ballerina. 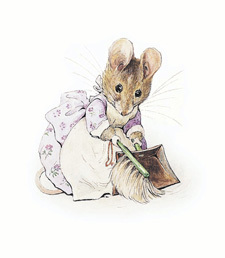 Don’t even get me started on Kevin Henkes; he writes brilliantly sensitive children’s books like Sheila Rae, The Brave and Wemberly Worried and Lily’s Purple Plastic Purse, but every single one of his characters is a mouse. 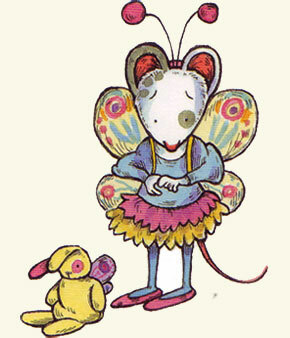 And then there’s If You Give a Mouse a Cookie, which I admit I did write about fondly in this blog. But let’s stand back a minute and consider what really happens if you give a mouse a cookie. He doesn’t ask for a glass of milk to go with it, that’s for sure; ooooh no, he’ll build a nest in your roof, have tons of babies, and poop all over your house. I OBJECT to this cultural brainwashing that tries to convince my children that mice are cute, cuddly, friendly little helpers. And yes, I do want my children to lead lives of love free from fear. Just NOT when it comes to mice! So, I have this little problem with mice. 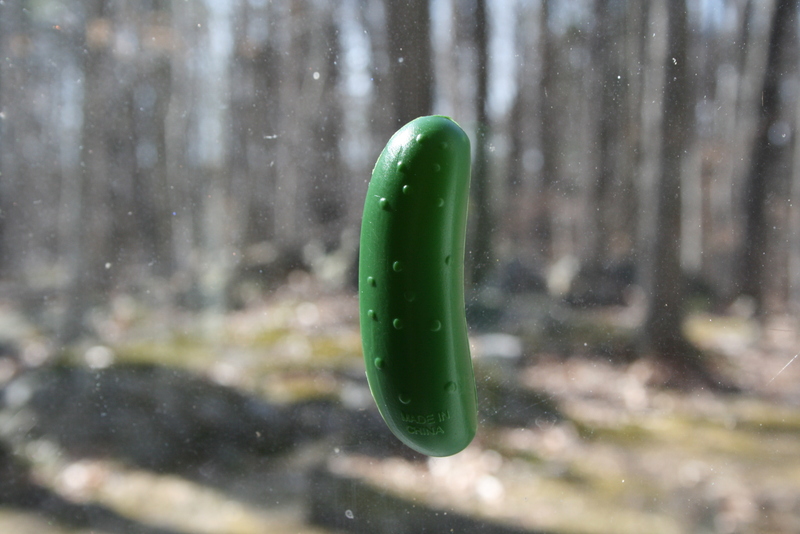 I’ve tiptoed around it here for a while, because I’m basically a happy person, and we’re basically a happy family, and we’re basically thrilled to be living in Vermont, and I want this blog to reflect that. But I’m feeling like today is a down & dirty honest day, so I’ll just say it: hands-down, the WORST thing about our move to Vermont is that there are mice here. Lots and lots of mice. “But Faith,” you might say, “you live in the WOODS. Surely you expected mice.” Actually, I didn’t. Up until this year I had shockingly little experience with mice. I grew up deep in suburbia, and the first time I saw an actual mouse I was about 8 years old. That experience is burned deep into my memory, and has influenced all of my subsequent dealings with mice. I was visiting my three cousins in New Hampshire. We were riding bikes up and down their street when I looked down and saw it: a dead mouse, right there on the asphalt. Since this was the first actual mouse I’d ever seen, I mentioned it to my two older cousins. Sensing I was shaken, they decided to have a little fun with me, not knowing that it would scar me for life. “Hey, guys, did you see that dead mouse back there?” I asked, trying to be casual. When you’re 8 years old, that’s all it takes. I lay awake all night, picturing the flattened mouse with a tire track running down its stomach. By morning, I was not only terrified of mice, but I was convinced that the only thing worse than a live mouse is a DEAD mouse. 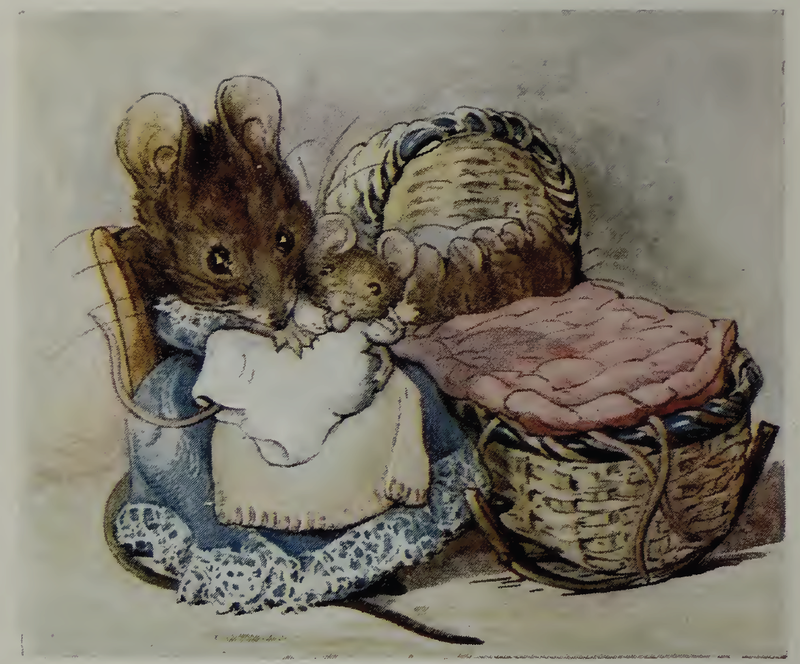 Flash forward a couple of decades: we moved into our Vermont “dream house” to find that the previous occupants, the elderly couple who built the house, either didn’t realize or didn’t care that they had a massive mouse situation. We found droppings everywhere; I spent the first couple of months here in a permanent stoop, scanning the floorboards for fresh mouse doo. Worse than that was the nightly tap dance over our heads. Our house is constructed in what’s known as “post-and-beam” style, which means that there’s lots of exposed wood. There’s also no attic over the main part of the house, so in our master bedroom we have a steeply-pitched exposed wood ceiling that is the underside of the roof. Basically, it acts like an amplifier for whatever is running around on the roof; our first night in this house, it sounded like mice the size of elephants were about to burst through the ceiling right over our heads. As in any marriage, ours functions based on a system of roles and duties. In our case, I will raise the children, cook the meals, clean the house, tend the yard, and fix leaky faucets, but I will NOT do mice. Thankfully, Erick has embraced his role as household exterminator. He began by doing what he usually does when faced with a challenge: research. This led him to what he swears are the most amazing mousetraps in history: T-rex Snap Traps. We have about 50 of these traps strategically placed around our house. Erick does both the setting and the disposing, since the only thing worse than a live mouse is a dead mouse. The first time he prepared to empty some traps, he wore: rubber gloves, a face mask, goggles, and — I’m not kidding — a hard hat. I’m not quite sure what he was expecting from the dead mice, but since I would’ve required a full hazmat suit, I really couldn’t laugh at him. (Too hard). Between these traps and some bait stations outside our house, the mice are mostly under control. But about a month ago, I looked out our front window to see a dead mouse. A dead mouse right on our front lawn, just a couple of feet from the house. I mentioned it to Erick, but such is the life of a first-year professor that he promptly forgot all about it, and I didn’t have the heart to nag him. I decided the time had come to face my fear and take responsibility for the dead mouse myself, like a big girl. And then it rained, and then it snowed. The mouse was covered up for a couple of days, but when the snow melted it was still there, looking a little bit squishier and worse for wear. Scooping it up with a shovel no longer seemed like a good idea. At this point, I figured it was best to take the natural route, and let the mouse become one with our lawn. Free fertilizer, so to speak. The problem was that the mouse refused to become topsoil as quickly as I’d hoped. Whether some freeze-drying had occurred due to the snowfall, I don’t know, but every morning I’d look out the window and it was still there. I cursed the high standards of the dozens of owls that live in our yard: What’s wrong with a slightly aged mouse corpse, owls? One thing was for sure: as the weather turned warmer and our girls started playing outside again, I didn’t want them to be scarred for life by the sight of a dead mouse, the way I had been. (Or, worse, to step on it and track dead mouse germs into our house). So, one naptime, I got the shovel, took a large scoop of mulch from our mulch pile, and, standing a mere 3 feet from that mouse, threw the mulch on top of it. For good measure, I tossed on a few dry leaves. A burial, of sorts. I felt very brave, and very innovative. Until the other weekend, when the girls were tearing around our yard with a couple of friends. They knocked on the front door to request more snacks, and when I opened the door: THERE WAS THAT DANG MOUSE. AGAIN. Somebody must’ve kicked over my burial mound, and the scraggly mouse corpse was lying exposed in the sunlight, like my fear staring me in the face. I did the only thing I could do, the thing I should’ve done weeks before: I called for Erick. He took a plastic bag and went outside (minus his mouse-fighting gear — so brave), and within minutes the whole ordeal was behind me. I guess no matter how grown up you are, there will always be some things that you never grow up from. Have you considered getting a cat? We had a rodent problem in Berkeley (think mice but much less cute) and Alexander put an end to that, pretty much within a week. He does occasionally bring us a catch, but mainly he serves as a very effective deterrent. Leslie, not only have we considered a cat, we’re being lobbied pretty hard by 2/3 of our kids! I was a little concerned about the dead rodent factor, but it’s good to hear that you didn’t have much of an issue with that! Faith, these blog entries are amazing ! You’ve missed your calling or have one whenever the time comes… writing ! Thank you so much for these. They bring a smile each time…. actually a full out laugh… !! !